After the February-14 Pulwama terrorist attack, the US, the UK and France had moved the United Nations to declare Masood a global terrorist on February 27 but China has again chosen to side with its all-weather friend. India has expressed "disappointment" over China's move to rally behind those are spreading terror activities in India. 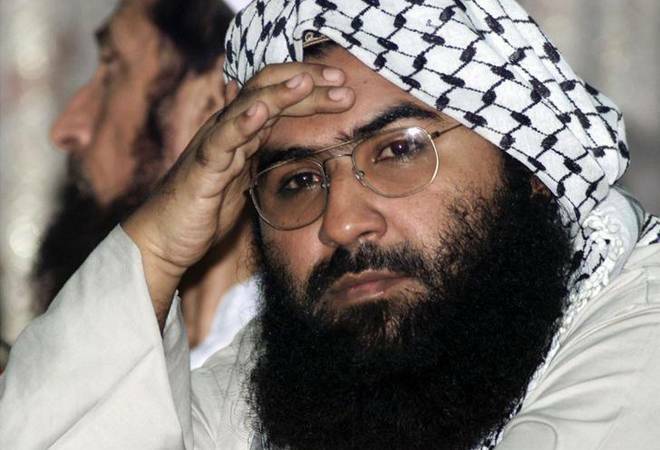 In yet another attempt to shield terrorists based in Pakistan, China has blocked India's bid to declare Jaish-e-Mohammed chief Masood Azhar a global terrorist for the fourth time. This has happened despite India's huge diplomatic pressure to ban the JeM chief, who is the mastermind behind the ghastly suicide bomb attack in Jammu and Kashmir, which left 44 CRPF jawans dead. After the February-14 Pulwama terrorist attack, the US, the UK and France had moved the United Nations (UN) to declare Masood a global terrorist on February 27. However, China has again chosen to side with its "all-weather friend" Pakistan, citing it wanted a solution (of the conflict in J&K) "acceptable to all". Countries all over the world had supported India's fight against terrorism after the Pulwama attack, following which 11 countries had co-sponsored the move to ban his organisation. Except China, all member countries of the UNSC had supported the move. India had also got support from all the European countries in the Security Council and four other prominent nations outside the UNSC. The signals from Beijing were that they are "consistent" on their position and they wanted a solution "acceptable to all". It was becoming clear which way they were headed, reported India Today. Meanwhile, India has expressed "disappointment" over China's move to rally behind those are spreading terror activities in India. "We are disappointed by this outcome. This has prevented action by the international community to designate the leader of Jaish-e-Mohammed (JeM), a proscribed and active terrorist organization which has claimed responsibility for the terrorist attack in Jammu and Kashmir on 14 February 2019", said a statement issued by the Ministry of External Affairs. The government also supported the countries that came out in India's support after the terrorist attack. "We are grateful for the efforts of the Member States who moved the designation proposal and the unprecedented number of all other Security Council members as well as non-members who joined as co-sponsors", said MEA statement. The government said it would continue to pursue all available avenues to ensure that terrorist leaders who were involved in heinous attacks in India were brought to justice. Though Pakistan Prime Minister Imran Khan, after the Pulwama attack, had vouched for peace and stability in the region, he seems to have shied away from taking the first step that could have shown the country's seriousness to fight terrorism. "Big, Small & Many...1 big state holds up, again ...1 small signal @UN against terror. Grateful to the many states - big & small - who in unprecedented numbers, joined as co-sponsors of the effort," Syed Akbaruddin, India's Permanent Representative to the UN, in a tweet said. In 2009, India moved a proposal by itself to designate Azhar. In 2016 again India moved the proposal with the P3 - the United States, the United Kingdom and France in the UN's 1267 Sanctions Committee to ban Azhar, also the mastermind of the attack on the air base in Pathankot in January, 2016. In 2017, the P3 nations moved a similar proposal again. However, on all occasions China, a veto-wielding permanent member of the UN Security Council, blocked India's proposal from being adopted by the Sanctions Committee. An assets freeze under the Sanctions Committee requires that all states freeze without delay the funds and other financial assets or economic resources of designated individuals and entities. The travel ban entails preventing the entry into or transit by all states through their territories by designated individuals. Under the arms embargo, all states are required to prevent the direct or indirect supply, sale and transfer from their territories or by their nationals outside their territories to the designated individuals and entities.